Masters in Business | Listen Free on Castbox. Bloomberg Opinion columnist Barry Ritholtz interviews Joshua Miller, an economics professor at the University of Alicante whose research interests include behavioral economics and decision theory. His paper "Surprised By the Hot Hand Fallacy? A Truth in the Law of Small Numbers," co-authored with Adam Sanjurjo, recently appeared in the journal Econometrica. 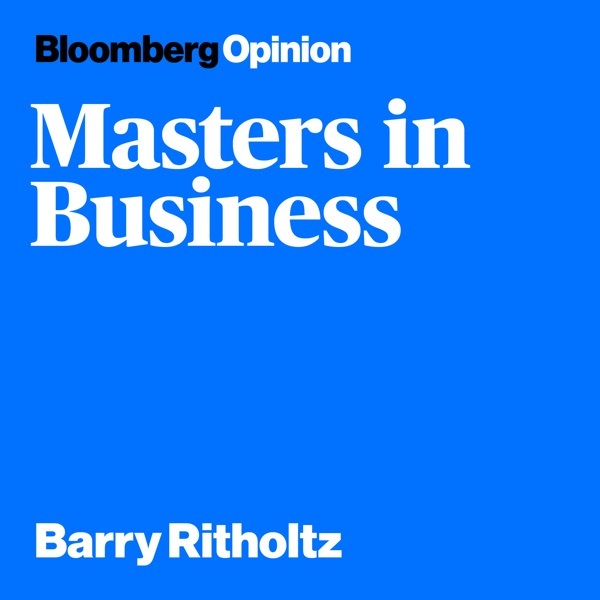 Bloomberg Opinion columnist Barry Ritholtz interviews Roger Ibbotson, a professor emeritus of finance at Yale University who serves as chairman and chief investment officer at Zebra Capital Management LLC. He was also the founder and chairman of Ibbotson Associates (now a Morningstar company) and executive director of the Center for Research in Security Prices, which helped transform finance into a field of empirical study. His latest book, “Popularity: A Bridge Between Classical and Behavioral Finance,” co-authored with Thomas M. Idzorek, Paul D. Kaplan and James X. Xiong, was published in January. Bloomberg Opinion columnist Barry Ritholtz interviews John Chisholm, CFA and co-CEO of Acadian Asset Managment. Chisholm assumed the co-CEO role after serving as Acadian’s chief investment officer, where he oversaw Acadian’s investment process and investment team. Earlier in his career, John served as systems engineer at Draper Laboratories and as an analyst for the International Asset Management Department at the State Street Bank and Trust Company (now SSgA). He earned an M.S. in business and finance and a B.S. in engineering from MIT. Bloomberg Opinion columnist Barry Ritholtz interviews the legendary Howard Marks, co-founder and co-chairman of Oaktree Capital Management. The firm was formed in 1995 by a group of individuals who had been investing together since the mid-1980s in high-yield bonds, convertible securities, distressed debt, real estate, control investments and listed equities. Marks is celebrated for the memos he created in 1990. His newest book, "Mastering the Market Cycle: Getting the Odds On Your Side," was published in October. Bloomberg Opinion columnist Barry Ritholtz interviews Neil Dwane, a portfolio manager and global strategist with Allianz Global Investors. Dwane is a member of AllianzGI’s equity investment management group. He previously worked at J.P. Morgan Investment Management as a U.K. and European specialist portfolio manager; at Fleming Investment Management; and at Kleinwort Benson Investment Management as an analyst and a fund manager. This was an excellent interview from an amazing man with incite on life as well as investments! I don't like how the ads are 10x louder than the podcast itself. thanks for killing my ears..
I’m new to this and I hardly understand a word what they say - way to geeky. Lorenz König You're the problem, not the show. He interrupts too much. please let the person speak. This is one of the best podcasts I have ever come across. Deeply insightful, and decorated very genuinely and inquistively by Mr. Ritholtz. Favorite new podcast. Amazing guests, Barry knows his stuff and gets his guests fully engaged. These are really interesting in-depth interviews with some high profile names. Keep them coming. Ritholtz does a great job getting interesting people for interviews and generally a good job asking questions. Occasionally gets off focus and too cute or "me-too"y. Nonetheless a must listen for the ride too/from work. Helluva lot better than the TV talking heads. Previously listened on Bloomberg radio, which was good but did not save stopping points.